Welcome to the 2018–19 school year at Metter High School! As a school community, we strive to create an environment that respects the diversity of our students and encourages all students to challenge themselves to reach their fullest potential. Success in high school requires some thoughtful planning and commitment. Hard work and regular attendance are a must as well as participation in extracurricular activities. Researchers have noted that the most important thing parents/guardians can do for their child’s education is to take an active interest in their child’s schooling. When parents are involved in students’ education, the children do better in school. We as a school community look forward to sharing in your successes. My best wishes for a rewarding year filled with great achievements. IT’S A GREAT DAY TO BE A TIGER..... GO TIGERS!!! 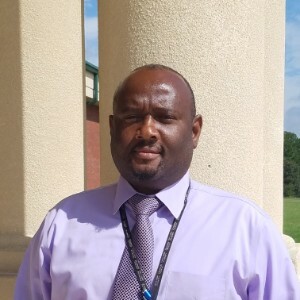 Welcome to Metter High School located in Metter, GA. Our principal is John Jordan. The school sits in the rural county area on Hwy 129 South. MHS is a beautiful single story building of 66,677 sq. ft. This particular building has been in that location since 2001. Other buildings that are included on the campus are a weight room, athletic field house, greenhouse, and JROTC building. There are approximately 560 students with 53 faculty and staff members. The student body is a very diverse one. Our student body ratio is fifty-three percent white, thirty-three percent black, eleven percent Hispanic, one percent other. These students and the staff work hard to maintain the integrity of Metter High School. We are driven to maintain excellence. The mission of Metter High School is to provide a solid educational foundation based on a multifaceted academic, physical and social program that will prepare and encourage our students to become responsible, productive citizens. Our success depends on shared goals and teamwork among parents, students, faculty and the community. A successful school promotes cooperation, self-discipline and motivation in all students. High expectations and encouragement are necessary for student success in school, social and personal endeavors. All students can be taught that they are responsible for the consequences of their actions. All students have the right and the responsibility to learn and to reach individual levels of success. Educators should be positive role models for students. All students have the opportunity to learn the skills and knowledge that will enable them to become responsible citizens. Students and teachers will perform their respective jobs in a safe learning environment. Effective educators have high expectations for responsible work habits and honorable, ethical conduct from all students. Successful students should have opportunities to explore the world of modern technology. Work ethics are an integral part of an educational program.